Tesler Software Review - Yes, It's a Scam! Tesler Software Review – Yes, It’s a Scam! Tesler software by Steven Abrahams seems like one of the legendary auto trading software, but does it really work? Or rather, does any of these software work at all? In this review, we’ll debunk every lies and fake promises that have been told in Tesler scam and teach you how to make money online for real. We’ve seen and reviewed multiple trading software like the Tesler in the past, and all of them made the same promise of making quick riches for its users. Unfortunately, none of them proved to be trustworthy, as they swindled away all their investors’ money in a series of binary trading scams. Can Tesler prove itself to be a legitimate software? Let’s see the experience of my reader, Erik who invested into the Tesler app. Actually, there are quite a few warning signs on the website itself. Remember the initial scene where Steven Abrahams paid a surprise visit to the house of one of his members? Apparently, it was portrayed that the lady did not foresee his visit at all. However, as he walks into the house, I couldn’t help but notice that there are already video cameras set up properly in the living room, ready to record the exaggerated expression of the actress upon logging into her account. As charismatic and trustworthy as Steven may seem, he is actually a professional, paid actor used to promote binary software scams like Tesler. 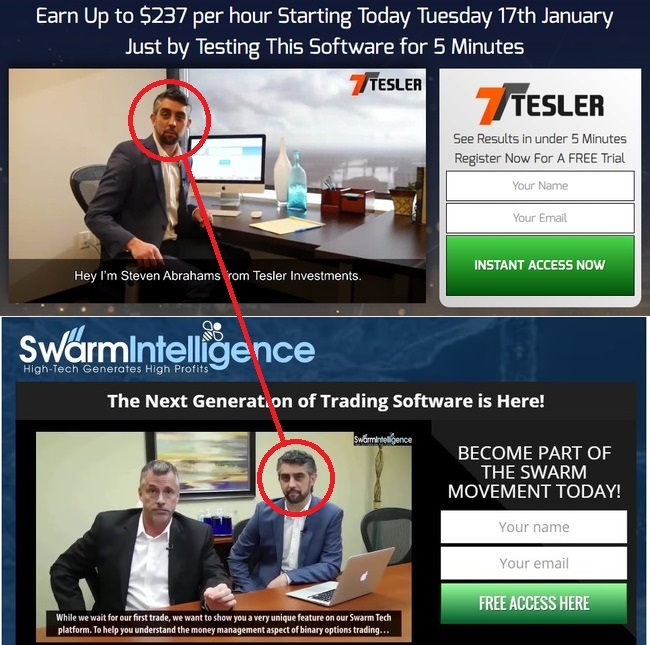 He was featured as “Thomas Porter” in Swarm Intelligence trading software, which is another auto-trader that promises big profits to its investors as well, much like how Tesler scam operates. Both of these software won’t make you money, and so do hundreds other “click-profit” software. I’ve experienced first-hand and lost hundreds of dollars to these scams, so make sure you don’t fall into the same trap. 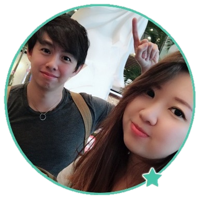 If you are really interested to make money online and is willing to learn doing it, read up more about affiliate marketing. There’s a section within the sales page where they display a number of photos, claiming them to be members of the Tesler software (screenshot above). Knowing that most of these members are fabricated, I’ve done a reverse image search on Google to find out where they came from. Sure enough, most of these pictures are found to be stolen from some unrelated websites. 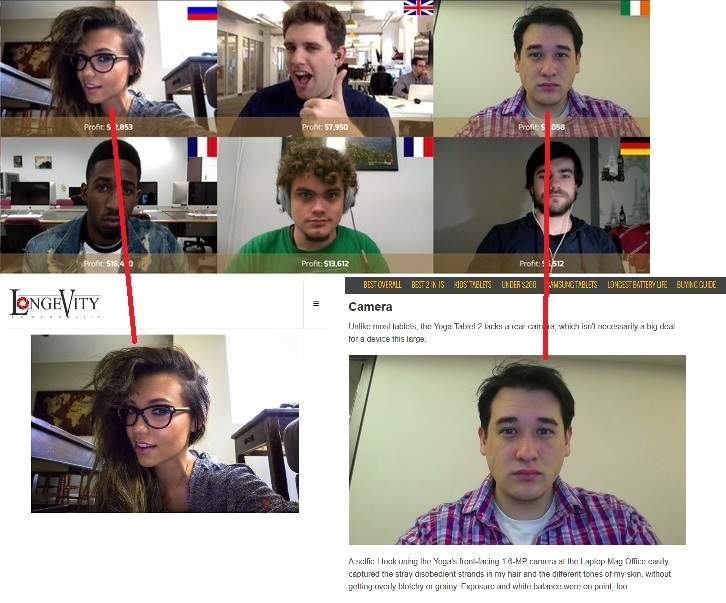 For example, the lady in the screenshot above posted this picture in her website called Longevity, while the man is actually a tech reviewer from LaptopMag.com. Lesson: Don’t buy into the “success stories” of these software that promises you easy profits. Almost all of them are fabricated to trap you into the investment and siphon your money away. If you read the FAQ section of the sales page, you are promised to make hundreds of dollars per hour and you can be wealthy in no time at all. However, what they didn’t tell you is that the promises are just blatant lies. If you want to know the truth, read their legal disclaimer. The risk disclaimer page cannot be found within their sales material, because it is supposed to be hidden from you. You can only find it at the bottom of the sales page in the form of a very small fine print. In the disclaimer, it is stated clearly that trading binary options is highly risky and you’ll most likely lose all your investment funds. But what did they promise us in the sales material? There’s no such thing as guaranteed and easy profits. Most people are led to believe that quick money can be made from the internet, but it’s not really the case at all. If you want to learn how to make money online the proper way, take a look at the 4,000 words guide that I’ve written on how to start a money-making website. It is exactly what I did that brought me from $0 to over $1,000 income per month from the internet. TESLER IS A SCAM. I strongly advise you to stay away from the scam if you don’t want to lose your hard-earned money. Seriously?? are there nothing true and real out there?? Hi Lilian, glad it helped you. There are legit programs out there, but anything that claims to make you money without any work is just out to get your money.